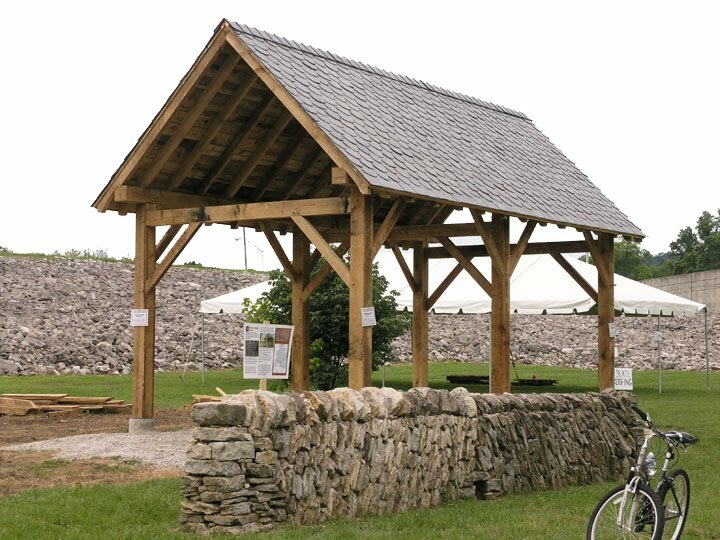 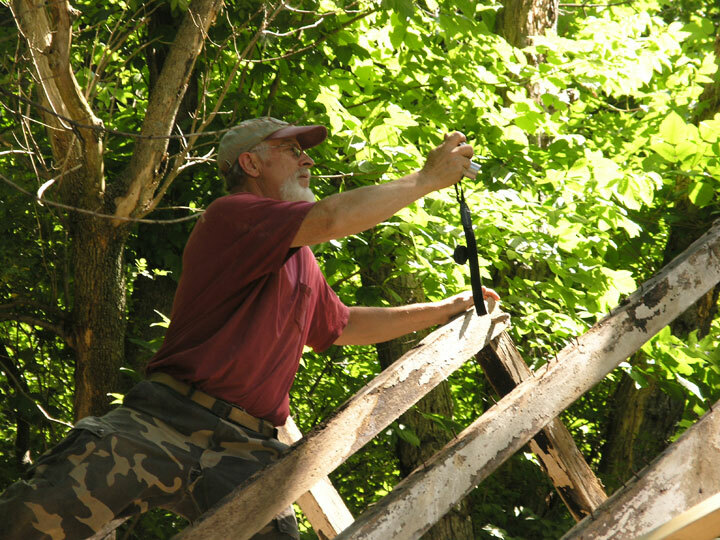 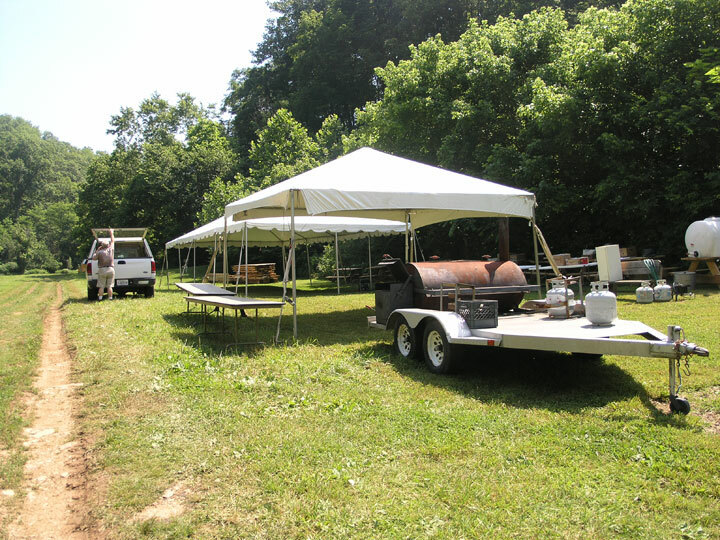 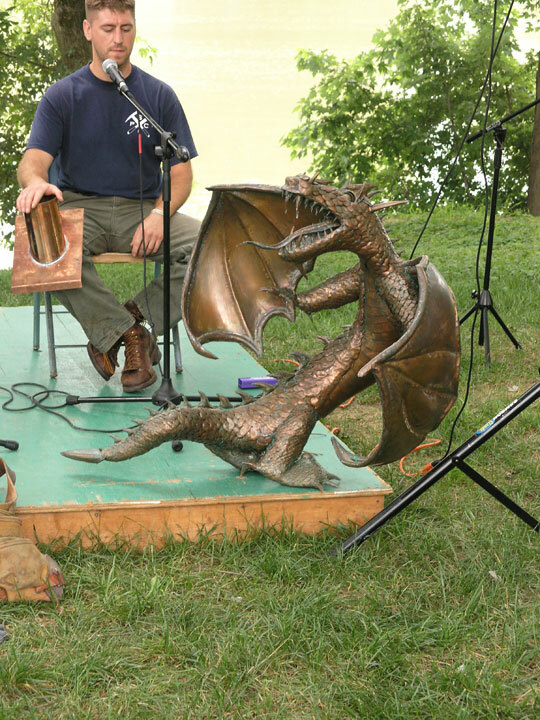 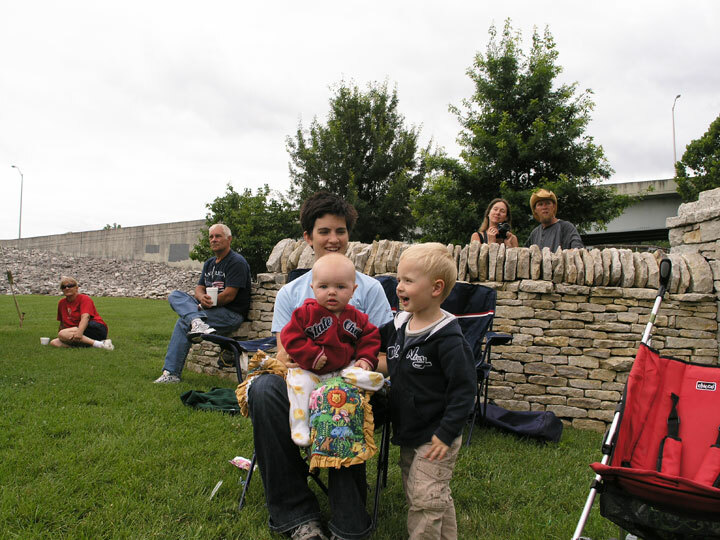 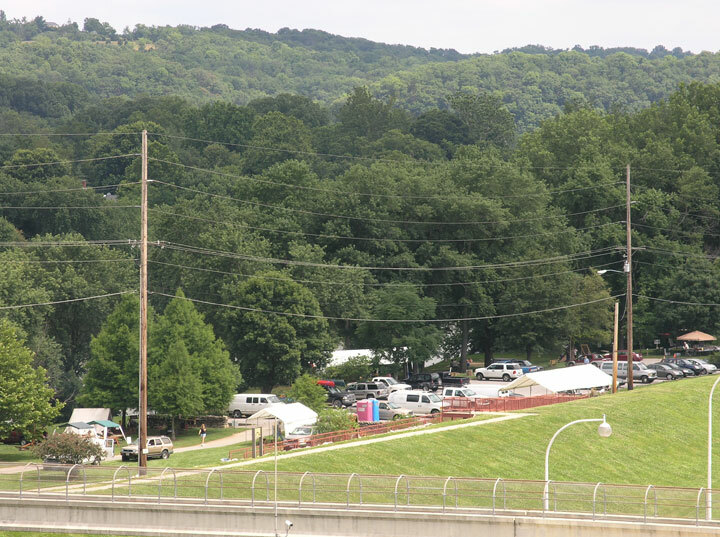 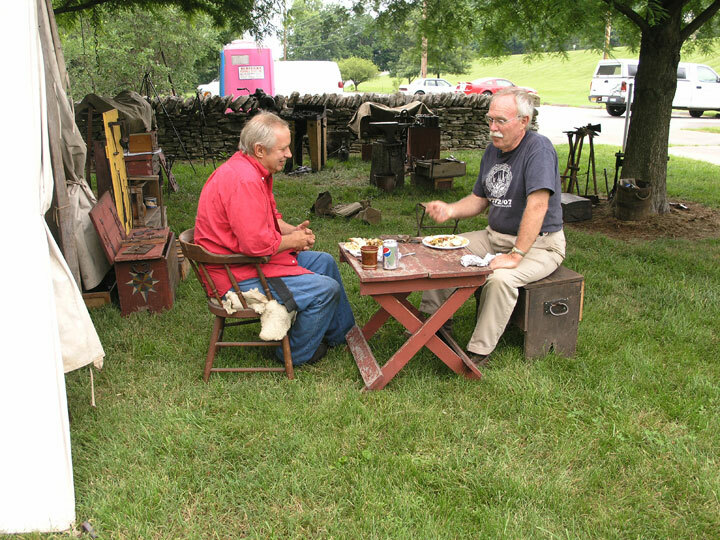 During the week of June 27th thru July 4th the Preservation Trades Network (PTN) partnered with the Timber Framers Guild (TFG), the Dry Stone Conservancy and the Slate Roof Contractors Association to hold their first Preservation Rendezvous in Frankfort Kentucky. 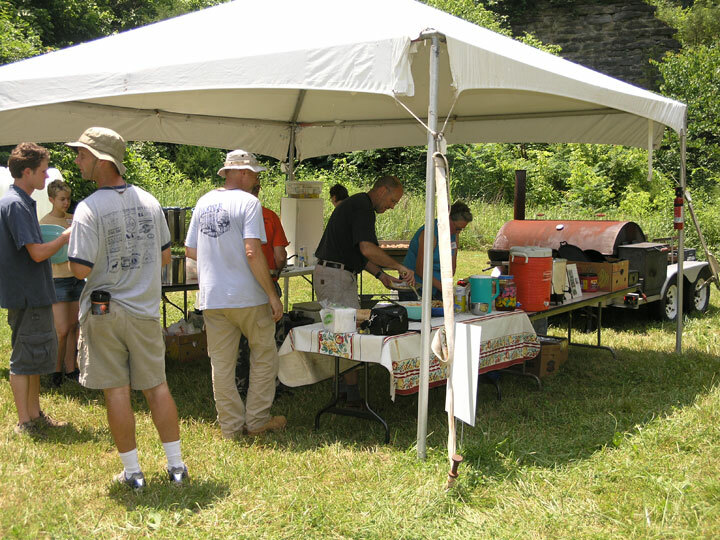 The event was most graciously hosted by the Kentucky Heritage Council, The Frankfort Tourist Commission and the City of Frankfort parks department who showed the participants what a real Kentucky welcome means. 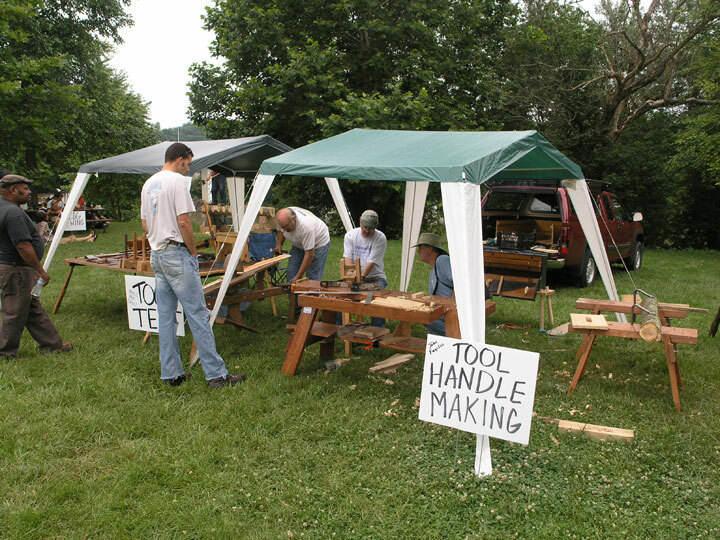 The week started with two workshops. 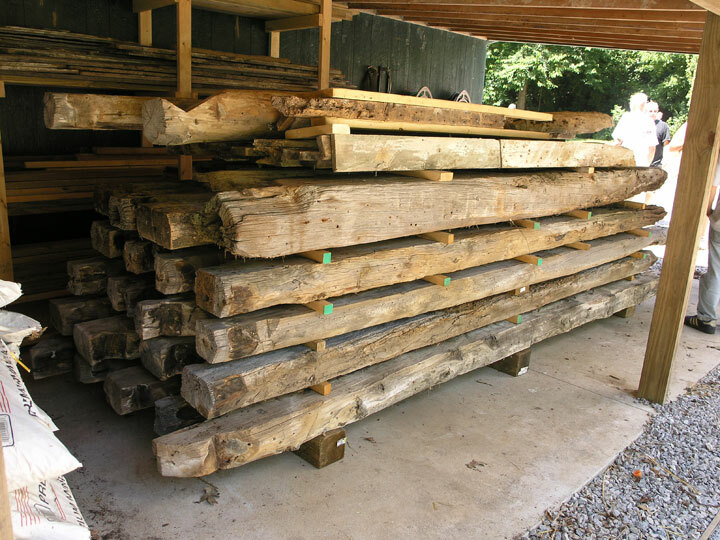 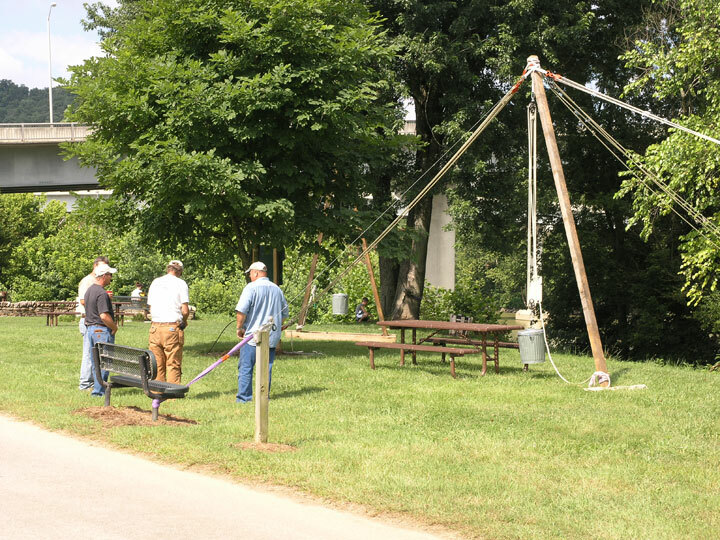 One was the beginning of a historic restoration project which will be completed next fall when PTN holds their International Preservation Trades Workshop (IPTW) in Frankfort. 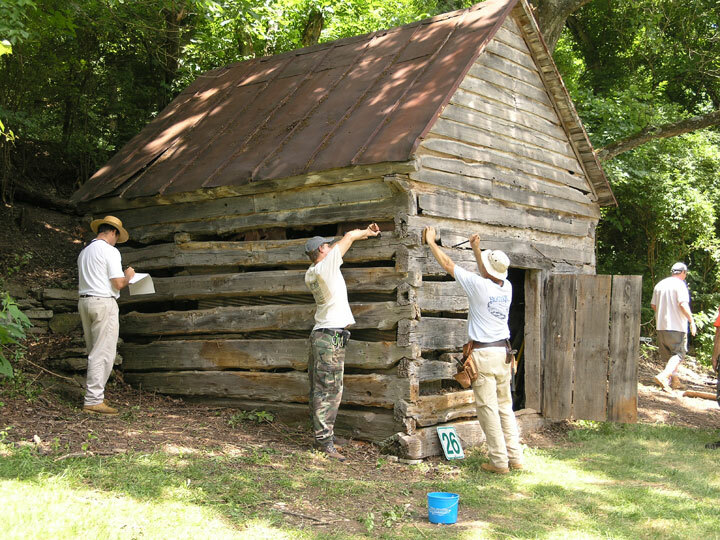 Students of that workshop learned how to properly document and deconstruct an early 19th century log structure which was original used for curing meat. 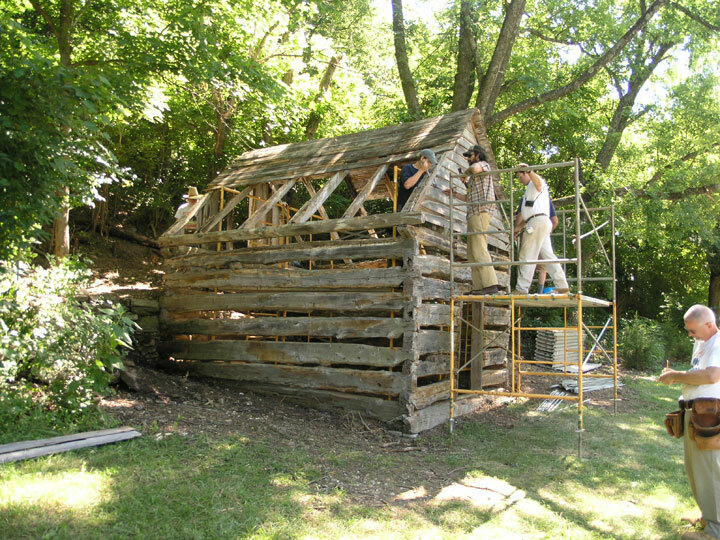 During the process of studying the remaining historic fabric the students were able to define all of the historic characteristics of the building which will allow the restoration to take the building back to its c1820 appearance authentically. 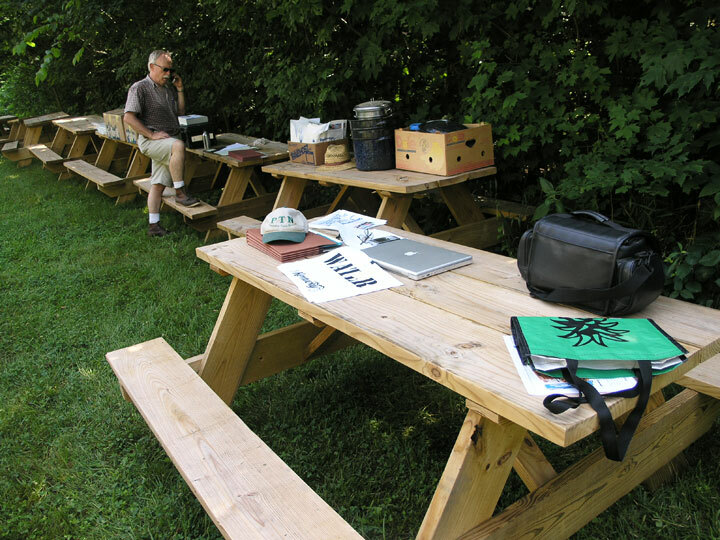 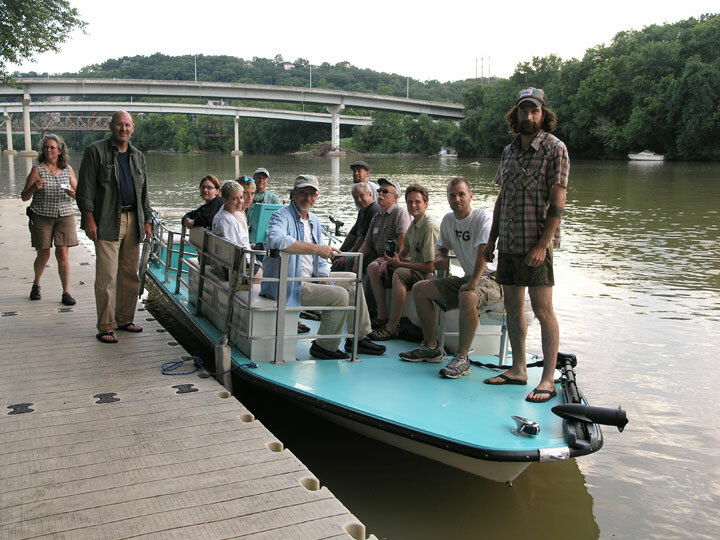 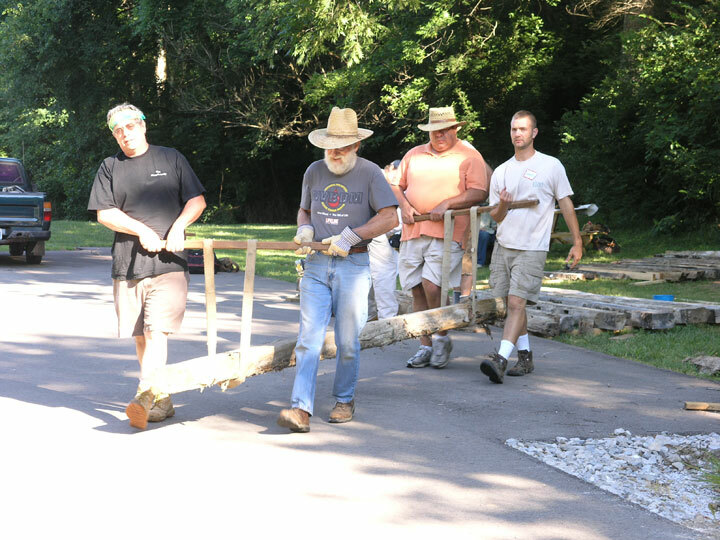 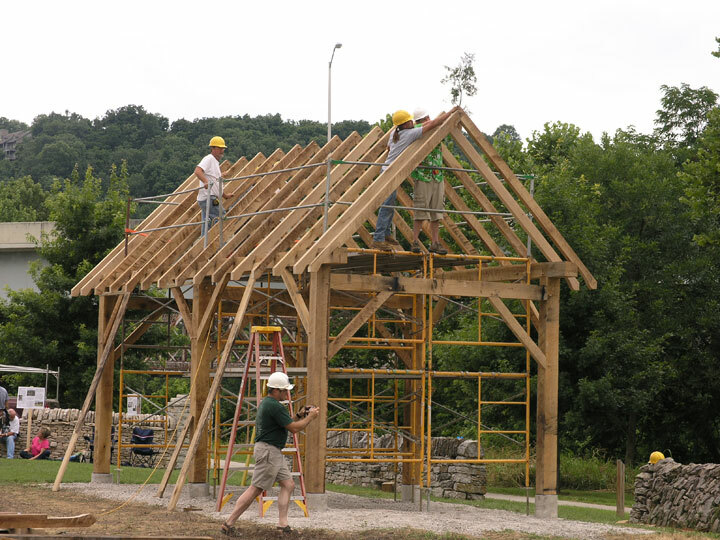 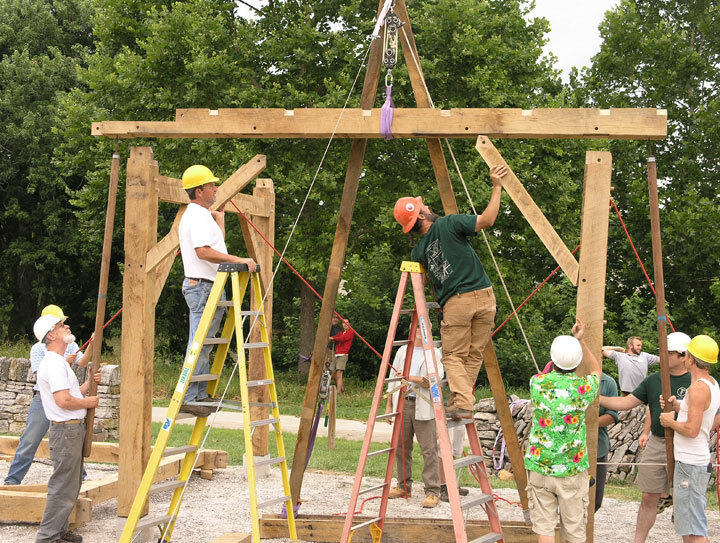 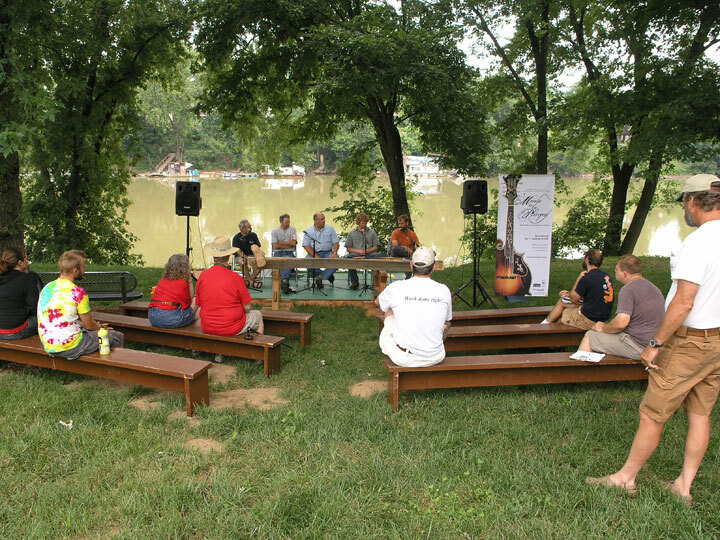 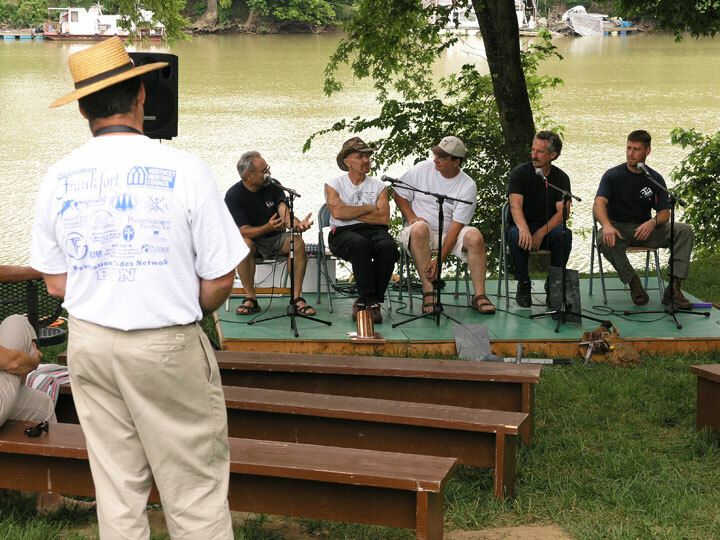 The second workshop involved using traditional timber frame construction methods to layout and fabricate a picnic pavilion for the River View Park on the Kentucky River in downtown Frankfort. 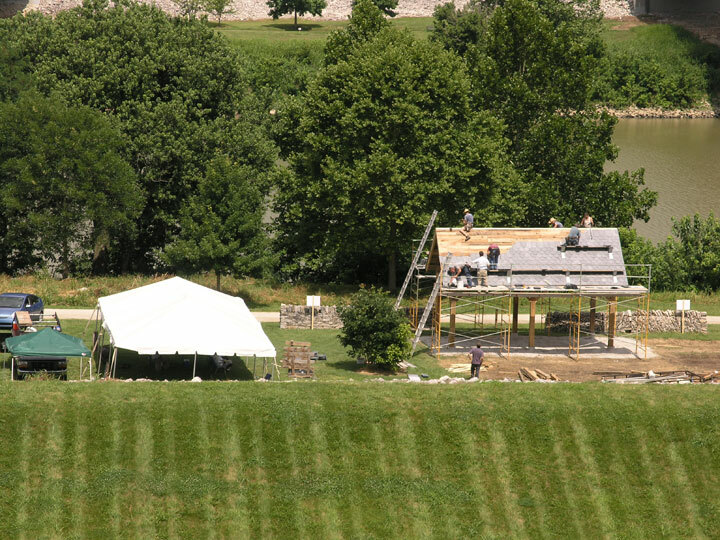 The building was hand raised on the opening day of the Rendezvous and roofed with a “fish scale” pattern slate roof. 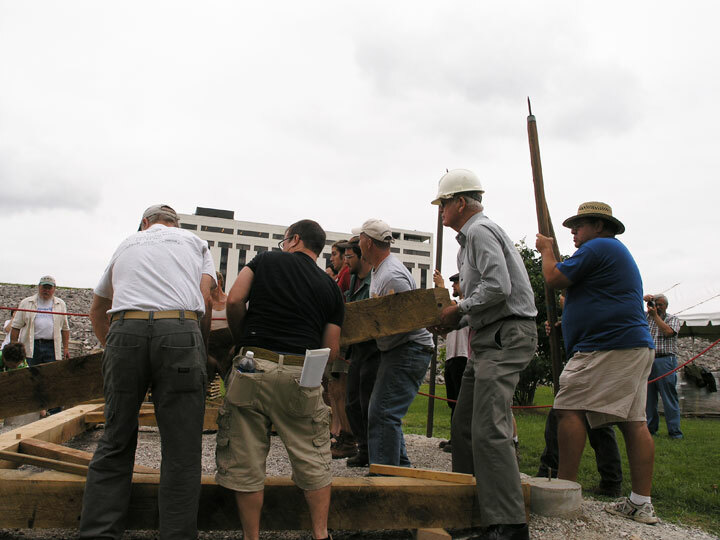 Even Frankfort’s mayor Gippy Graham grabbed a pike pole and help push up the first bent. 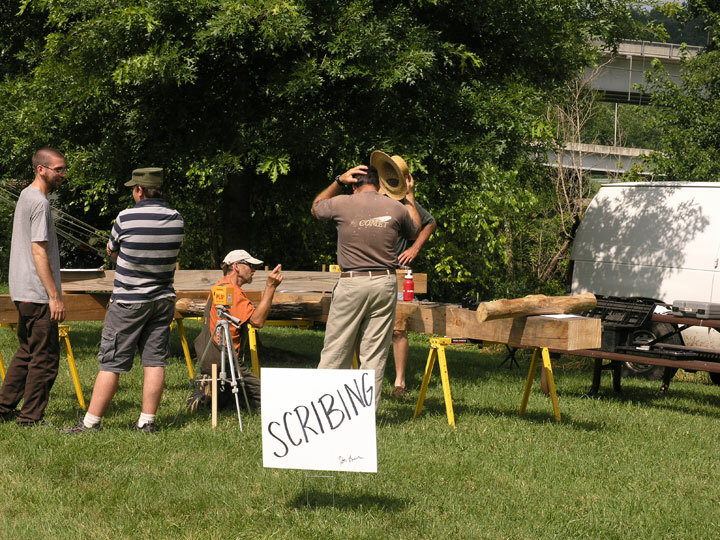 The rendezvous that followed featured traditional trades people demonstrating to attendees and the general public the skills that they use in their particular trade which included dry stone masonry, log construction, hand hewing timbers, raising and rigging, slate and tile roofing, blacksmithing, window restoration, wooden shingle riving, tool handle making and tool sharpening. 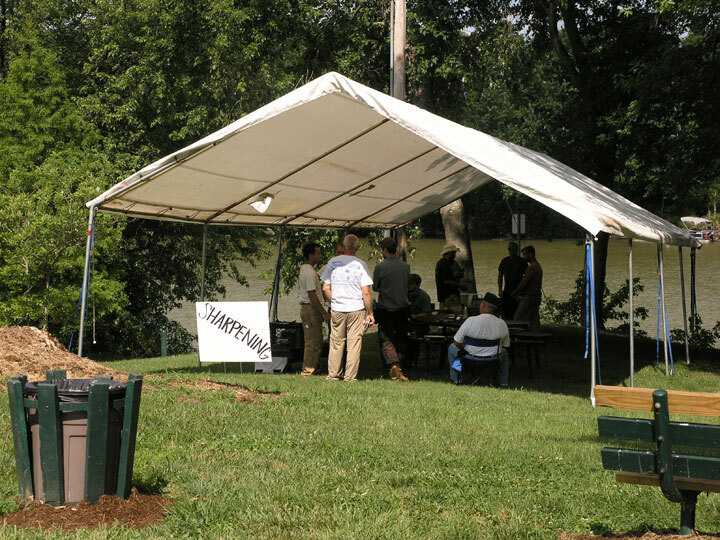 The citizens of Frankfort who stopped by were welcomed and had a chance to meet tradespeople who are keeping these traditional trades alive and employing them in preserving America’s historic architecture. 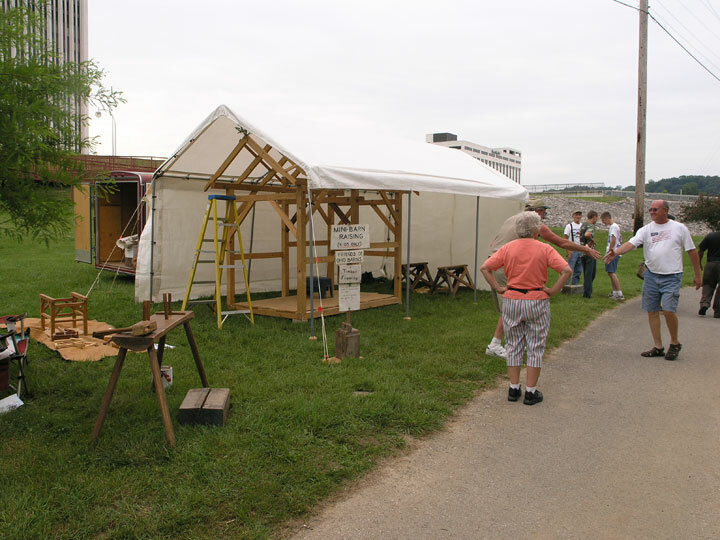 The young people of Frankfort were even invited to raise the mini-barn brought by Paul Knoebel of Friends of Ohio Barns. 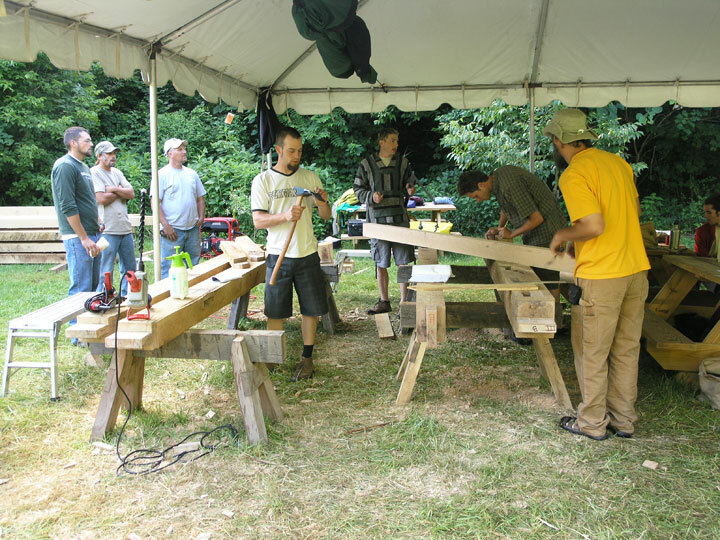 The workshops were educational and the weekend long Rendezvous was festive for sure, but the most valuable and enjoyable part was the camaraderie and opportunity to make new friends and enjoy time with old ones that partnering between the various trades organizations created. 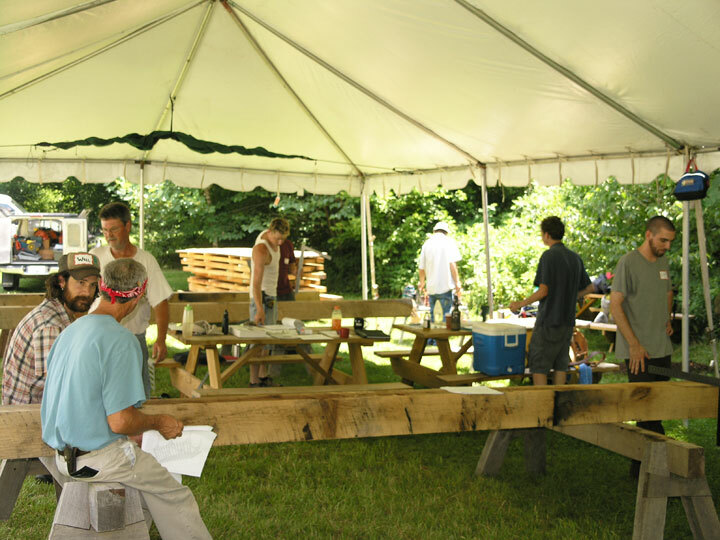 Evenings were spent at community meals cooked in the camp kitchen and sitting around the campfire telling stories and playing music. 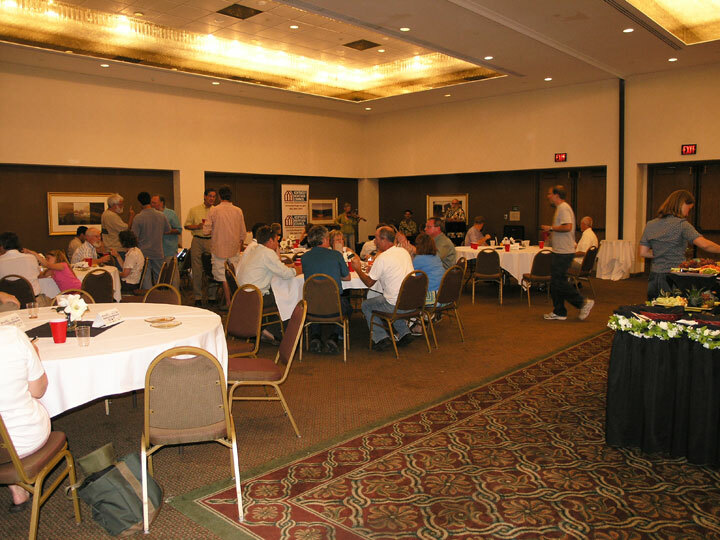 Friendly competition offered by a variety of outdoor games brought back memories of summer camps and family outings and created a very real feeling of community that’s hard to find at gatherings held in big hotel conference centers. 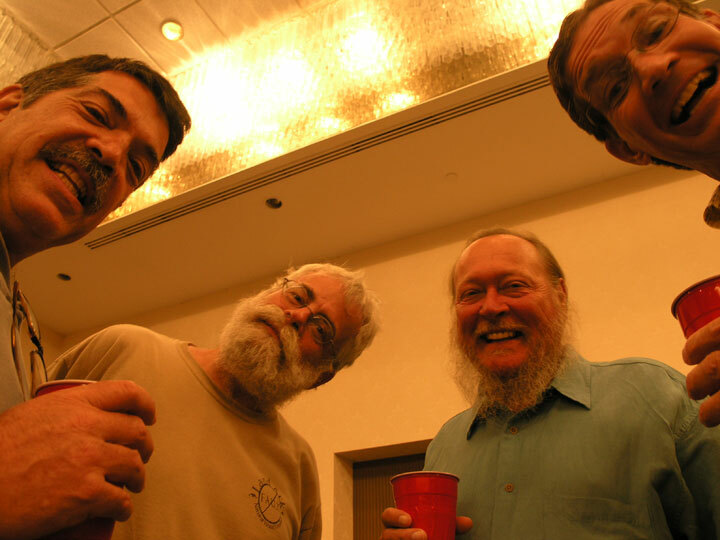 Preservation Rendezvous 2009 promises to be the beginning of a new kind of partnership programming that is destined to bring about bigger and better community based events in the future.